Some passionate deer hunters are so committed that they can’t see it, but hunting is losing steam. The U.S. Fish and Wildlife Service reports that from 2011 to 2016 we lost 2 million participants, declining to 11.5 million nationwide. This means we have fewer people competing during deer season, but it also means fewer dollars are being spent to sustain hunting. In the same period, total hunting expenditures declined 29 percent, from $36.3 billion to $25.6 billion. White-tailed deer are the keystone of North America’s hunting heritage. If we’re going to talk about preserving hunting, we must talk about whitetails, and we need to make a more deliberate effort than ever to get kids hunting them. The future of hunting is at stake. Deer hunting will not survive the way it did 20, 30 or 40 years ago. Hunting was widely accepted with little controversy. We had more kids, who had fewer competing interests, and a hunting family naturally transmitted traditional hunting values to sons and daughters. Fathers, grandfathers and uncles all led the way. A few days before the season opened, we’d go to an uncle’s or grandfather’s house to sight-in our rifles. Any casual observer might think sighting-in was the main preparation for the big day. Even though we took it seriously, that wasn’t our main preparation – not even close. We were preparing when we talked about what boots were suited for hunting, the finer points of traction, warmth and support. We talked about clothing, how to make our gear last and debated preferences for rifle calibers. Hunting stories permeated our conversations, which ranged from what we ate while in the woods, to how the big bucks knew what was going on when the shooting started. A single trip to the deer woods was never enough to transmit hunting heritage, but everyday life held countless mentoring opportunities. Even small game hunting, the appetizer for deer season, wasn’t our main preparation. It helped get our eyes, ears and legs in hunting shape, but throughout the year, nearly every day, we learned hunting lessons by example and by osmosis because we lived with hunters. Hunting was for the generations, and it would continue for as long as dads in deer country had children. In many ways, those days are gone. Although most people in the world of deer hunting care deeply about our heritage, we aren’t seeing hunting taught the way it once was. A whole range of things are happening in our society that prevent it. Without getting into moralizing over children born to single mothers, dads who don’t stick around long enough to raise their families, or political opposition to guns, it’s clear these and other social issues have had a negative effect on transmitting hunting values. More and more, increasing urbanization lays a role. Cultural media is produced in urban areas. Political money goes where people are, and that money draws more people to the urban centers. Cities are where the jobs are, but the hunting opportunities are scarce. Where traditional families once had four, five or even six kids, most are now having one or two. Competing interests are giving those one or two kids many choices, and hunting is often excluded from their array of activates. Messages about hunting and guns are almost certain to be negative. Today, a decades-old photograph of a 12-year-old girl with a gun and a deer can antagonize someone who, astonishingly, believes hunters are responsible for school shootings. 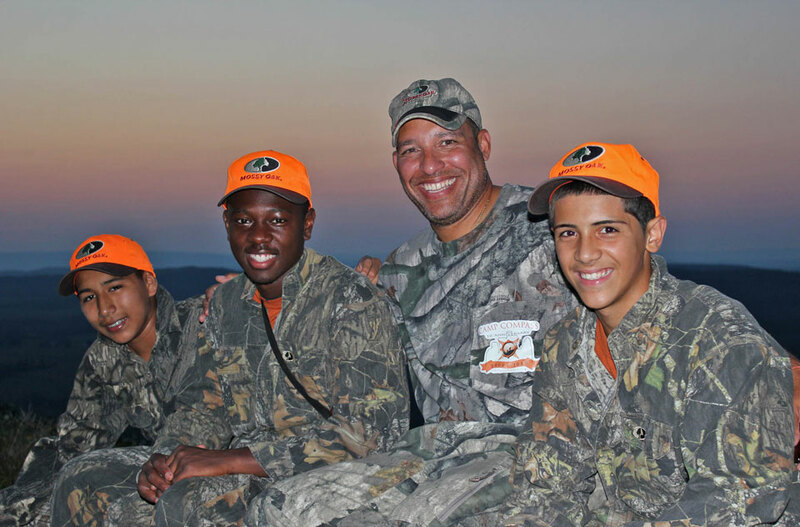 So how do we get kids involved in hunting? We’re in a desperate situation for two reason: First, hunting is conservation, and if hunting ends, we have no model for wildlife conservation that can replace it. Second, it will take a concerted heroic effort from all of us to preserve hunting by bringing more people into the ranks. John Annoni is on the front line of what actually can be done, and he knows transmitting our heritage will never again be done the way it was a generation ago. 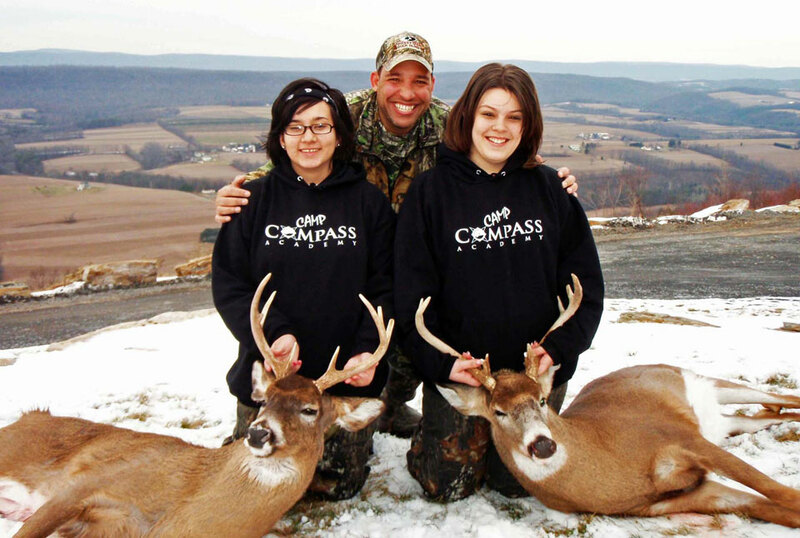 He is bringing the values of hunting into the public schools of Allentown, Pennsylvania, through a program that he founded 20 years ago called Camp Compass Academy. 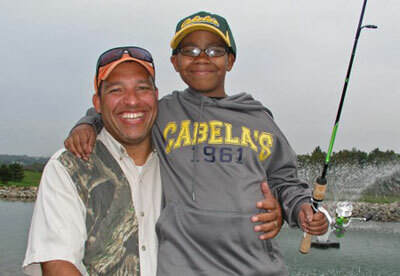 Camp Compass introduces kids from the inner city to hunting. With good grades, good behavior and open minds, kids in Annoni’s program, who would never have another chance to learn about hunting, get to see the positive benefits it offers. It’s easy to see why some of his ideas challenge the conventional wisdom in public schools, but he also offers some challenges to the hunting community. We talk a lot about “mentoring,” but what is mentoring? Annoni recognizes a clear difference between mentoring and parenting. Parenting introduces our own small families to hunting, but that’s not enough. 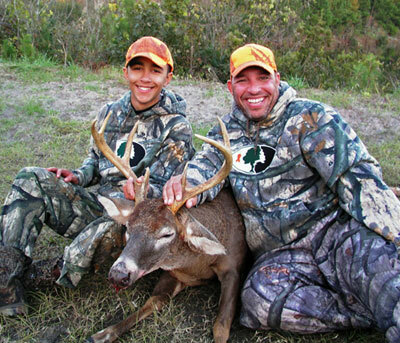 Mentoring those outside of the family must take center stage for hunting to survive. Our deer hunting heritage takes mentoring for granted because a traditional hunter saw dad, grandpa and uncles get dressed, choose a gun, sight-in, scout – it all came naturally. But if hunting is going to last, we must recruit more and more nontraditional hunters who will never come into hunt that way. Annoni also believes that we need to redefine excellence away from the size of the bucks we’re after and toward the experience itself. If we’re going to save hunting, we have to save deer hunting. And if we’re going to save deer hunting we have to do at least three things, and probably more. The world of hunting is a surprisingly diverse family, and we hunters need to think about our family dynamics. As much as families tend to bicker with each other, when their backs are to the wall they support each other with all their might. Demographics and a negative social attitude toward guns and hunting tell us our backs are to the wall now, but we haven’t yet unified. Will we look past our petty family squabbles? Or will we continue doing the dirty work of our enemies for them? We need to choose. We also need to look at mentoring as a year-round process, not just an October lead-up to deer season. Hunting season comes and goes, but mentoring season is 365 days a year. 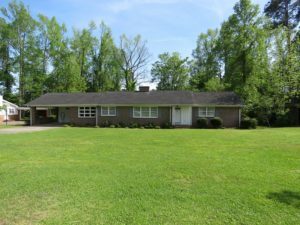 It includes passing along a good magazine article, preparing and eating venison, talking about meaningful memories, showing old and new photos all year long, and much more. Mentoring is a relationship with no substitute. The fact that kids today have few deep adult relationships means that if we create one, we can use that relationship to build up a kid through hunting. Many people don’t’ get the difference between parenting and mentoring. Parenting has mentoring built in. Mentoring without being a parent is a big, voluntary, valuable commitment. We set antler standards, but we must also set standards about keeping commitments, punctuality, ethics and all of the other everyday values that we hold as right and good. Deer hunting should be a way to teach normal, natural values. The deer is not the trophy. A newcomer transformed into a responsible hunter is the trophy of a lifetime. We need to care by getting as excited about any deer that a kid kills, as he gets about any deer that we kill ourselves, because the newcomer is more important than any deer. 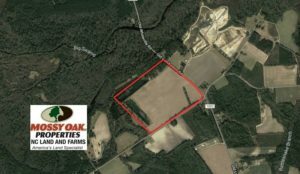 If we want to give our deer hunting heritage a future – this is how. Steve Sorensen, known as The Everyday Hunter, is an avid deer hunter from Pennsylvania.